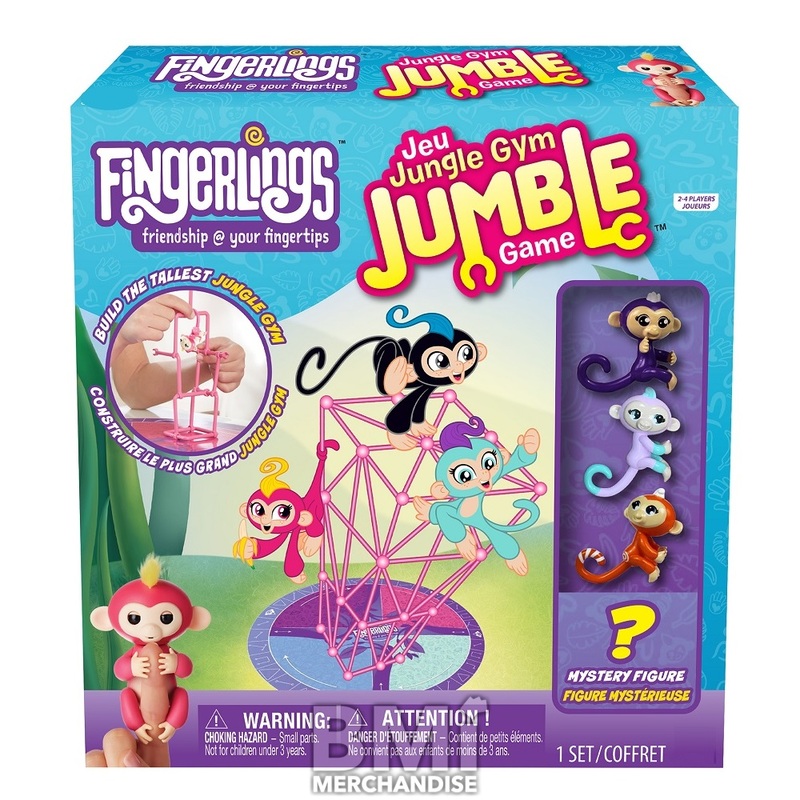 FINGERLINGS JUNGLE GYM GAME. 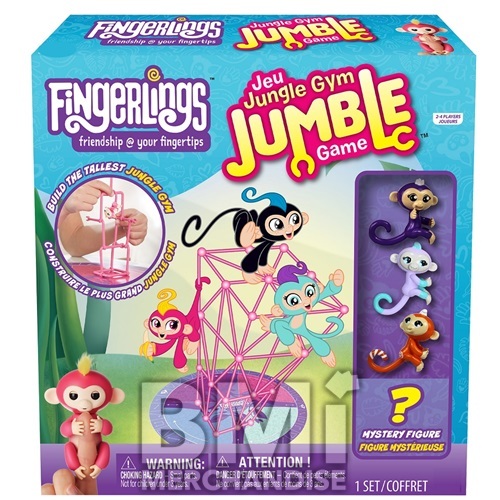 FRIENDSHIP AT YOUR FINGERTIPS. 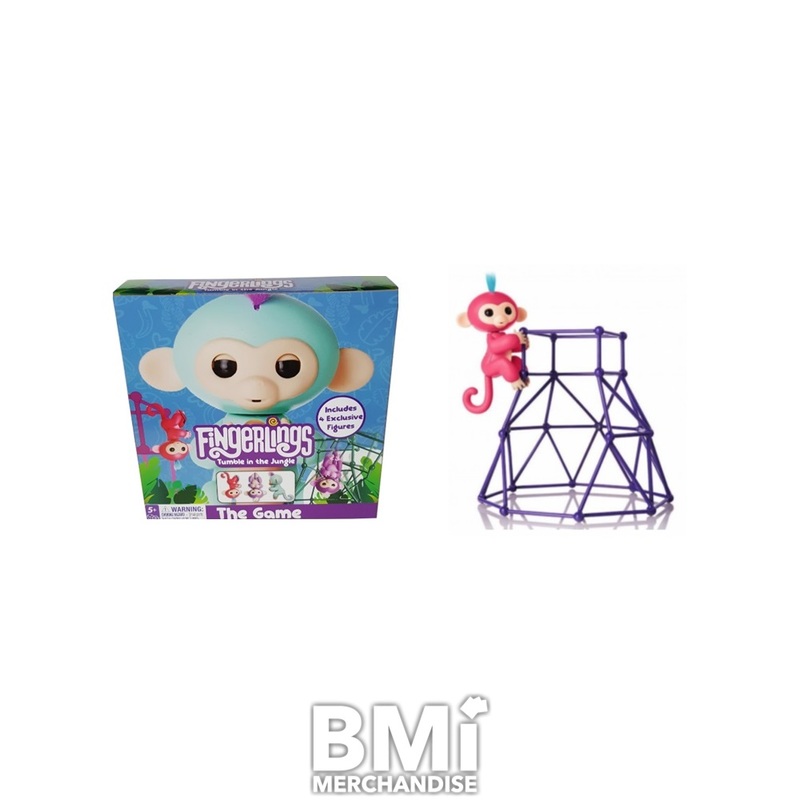 BUILD THE TALLEST JUNGLE GYM, BUT DON'T LET THE MONKEYS FALL. 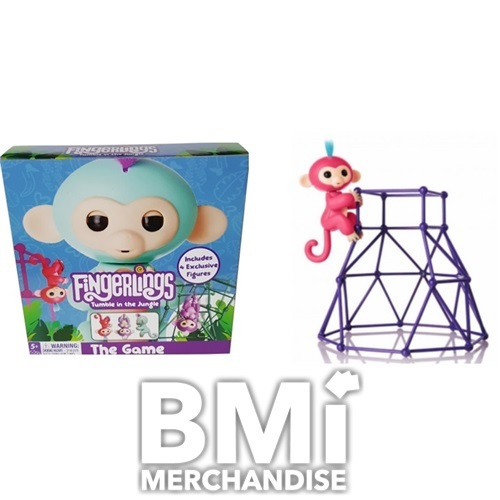 INCLUDES 4 FINGERLING FIGURES. AGES 5 AND UP.